The National Stadium Track @ National Sports Centre Devonshire Generously supported by Mid Atlantic Athletic Club. Are approximate. Be available at least 30 minutes prior to your race. We run if it rains, but we will take precautions/possible cancellation for high winds. ARRIVE EARLY FOR YOUR RACE! 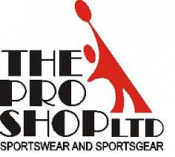 Entries up to Wednesday Night at The Pro Shop on Thursday from 10:00 a.m. - 2:00 p.m.
Online entries Thursday and Friday on Race Day at National Sports Center from 5:30pm. Timing Chips are incorporated in the Race Number that you will collect from the Pro Shop. It must be worn on the night to be recorded. It should be worn loosely on the front at belly button or lower, for best results. ARRIVE EARLY FOR YOUR RACE!